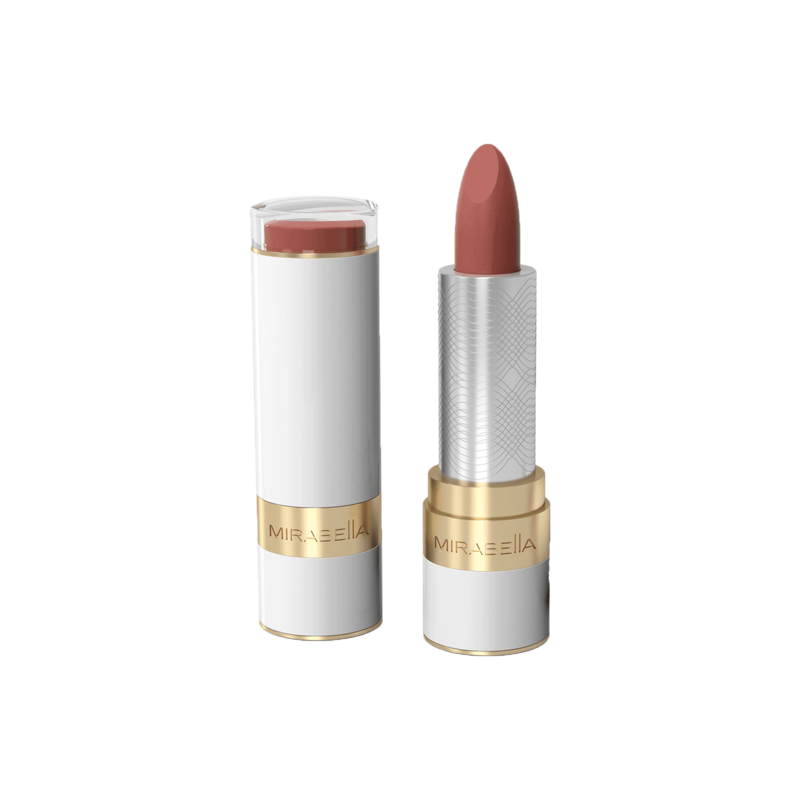 Ultra-creamy, richly pigmented lipstick. Weightless formula provides full-coverage and glides on for a pop of color that keeps lips hydrated and conditioned. Ultra-creamy, rich matte lipstick. Weightless formula provides full-coverage and glides on for intense color that does not dry or irritate the lips. DIISOSTEARYL MALATE, PARAFFINUM LIQUIDUM, POLYISOBUTENE, PENTAERYTHRITYL TETRAISOSTEARATE, BIS-DIGLYCERYL POLYACYLADIPATE-2, OZOKERITE, PARAFFIN & GLYCOL MONTANATE & SYNTHETIC WAX, MICROCRYSTALLINE WAX, SYNTHETIC WAX, PHENOXYETHANOL, TOCOPHERYL ACETATE, ARGANIA SPINOSA KERNEL OIL, MAY CONTAIN: TITANIUM DIOXIDE (CI 77891), MICA (CI 77019), CALCIUM CARBONATE (CI ), D&C RED NO.6 (CI 15850:2), D&C RED NO. 7 (CI 15850:1), IRON OXIDES (CI 77491, CI 77492, CI 77499), FD&C BLUE NO. 1 (CI 42090:2). MATTE: ETHYLHEXYL PALMITATE, PARAFFINUM LIQUIDUM, PETROLATUM, DIISOSTEARYL MALATE, OZOKERITE, PENTAERYTHRITYL TETRAISOSTEARATE, PARAFFIN, BIS-DIGLYCERYL POLYACYLADIPATE-2, PARAFFIN & GLYCOL MONTANATE & SYNTHETIC WAX, POLYISOBUTENE, MICTOCRYSTALLINE WAX, PHENOXYETHANOL, TOCOPHERYL ACETATE, ARGANIA SPINOSA KERNEL OIL, MAY CONTAIN: D&C RED NO. 6(CI 15850:2), D&C RED NO. 7 (CI 15850:1), IRON OXIDES (CI 77491, CI 77492, CI 77499), FD&C BLUE NO. 1 (CI 42090:2).